It’s one of Australia’s foundation legends—yet the story has always been told as if half the participants weren’t there. But what if the hot-tempered, free-spirited gold miners we learned about at school were actually husbands and fathers, brothers and sons? What if there were women and children right there beside them, inside the Stockade, when the bullets started to fly? And how do the answers to these questions change what we thought we knew about the so-called ‘birth of Australian democracy’? Who, in fact, were the midwives to that precious delivery? 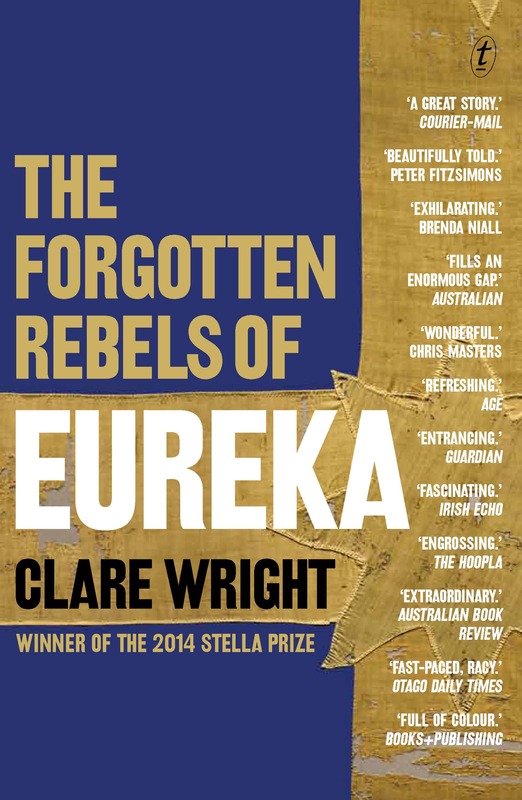 Ten years in the research and writing, irrepressibly bold, entertaining and often irreverent in style, Clare Wright’s The Forgotten Rebels of Eureka is a fitting tribute to the unbiddable women of Ballarat—women who made Eureka a story for us all.